Honor Band 4 Launched with $30 Pricing and AMOLED Display - Playfuldroid! Honor Band 4 is the latest fitness smartband from the company. It has been just unveiled after the launch of Honor 8X and Honor 8X Max smartphones. It has arrived with an enticing price tag of $30 to take on the Mi Band 3 which is priced similarly. The Honor Band 4 has arrived with a colored AMOLED display that measures 0.95 inches. It is protected by 2.5D curved glass. The smartband offers up to 5 ATM water-resistance and dust-resistance. The fitness tracker is equipped with health-centric features such as pedometer, sleep monitor and heart rate sensor. For in-depth sleep analysis, the company has packed TruSleep 2.0 feature. It also tracks hear rate during various activities like running and cycling. The 100mAh battery of the Honor Band 4 lasts for up to 14 days. There is a Running Edition of the Band 4 that comes with P-OLED monochrome screen and a smaller battery of 77mAh capacity. 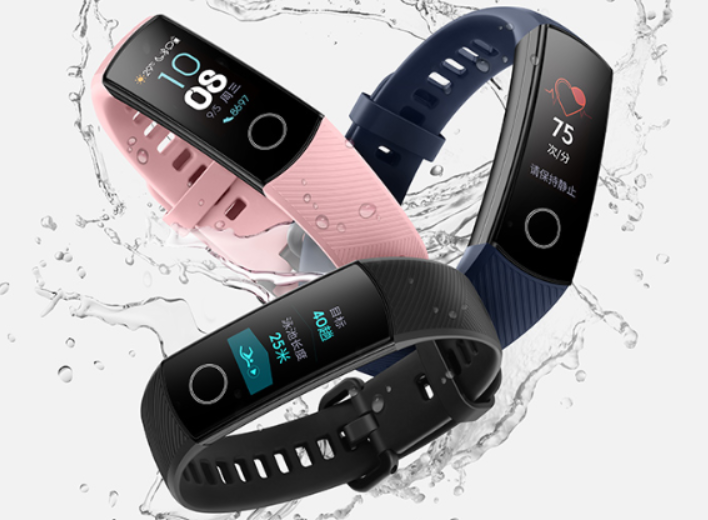 The Honor Band 4 is priced at 199 Yuan ($30) and it comes in colors like black, blue and pink. The Running Edition costs 99 Yuan ($15) and its color variants are black, blue, red, yellow, green and pink. Both the devices will be available for buying in the home country from Sept. 20.